Positioned on the Boulia to Selwyn road, approximately 25km's and to the right hand side, a kilometre off the road. 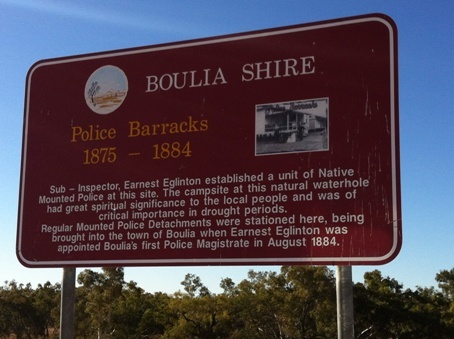 The old Police Barracks make the perfect place for a picnic, fishing or enjoying the majesty of an outback water hole. All that remains of the original Police Barracks are some bricks and rubble.